Life is full of traps. In that sense our lives are little different to our ancient days of cavemen. But the traps are very different. They have changed from pits embedded with sharp sticks, covered with vegetation, to an avalanche of information, news and media output from which determining truth is challenging. The modern equivalent of the ancient pit trap. My sense is that one way we embrace what we perceive as truthful is through pattern matching, a powerful aspect of the human brain. By pattern matching, I mean the tendency to place greater emphasis on information that matches our view of the world, that accords with our core beliefs, than that which doesn’t. Thus if one is a liberal with leanings towards social engineering as a means of improving society then news and information that supports that philosophy will be accepted as validation of that view. Then again, if one is strong on the need for the individual to be independent and responsible for their own lives then the validation of that philosophy will be supported by a completely different stream of information. A prologue to what follows. 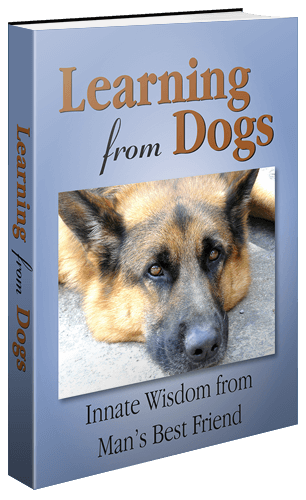 Regular readers of Learning from Dogs will be clear that my view is that mankind is responsible for a range of issues that, if not resolved, will threaten the very ecology of Planet Earth that allows mankind to survive. My dear Californian friend of over 40 years, Dan, thinks otherwise. Let me add, Dan is not a mental slouch. I wanted to share some articles that Dan recently sent me, not to prove who is right or wrong, but to underline the critical importance of never ceasing to question the truth of everything that is fundamental to our knowledge of the world, in the broadest sense, upon which we live. This is not the full article, which may be read here. A new NASA-led study shows that human-caused climate change has impacted a wide range of Earth’s natural systems, from permafrost thawing to plants blooming earlier across Europe to lakes declining in productivity in Africa. Cynthia Rosenzweig of NASA’s Goddard Institute for Space Science in New York and scientists at 10 other institutions have linked physical and biological impacts since 1970 with rises in temperatures during that period. The study, published May 15 in the journal Nature, concludes that human-caused warming is resulting in a broad range of impacts across the globe. Paul – This will be a good one. The point I always try to make is that good science is always subject to change as new evidence is discovered. I believe that science is by nature, controversial; plus ça change and all that…. To state as a “Hard-Core Ideological Truth” that Anthropogenic Global Warming (now known as more PC “Climate Change”) is a fact is self-serving. To deny the disputative work of many highly regarded scientists and climatologists who challenge this construct, can only result in a politically charged and alarmist position serving, in the end, special-interests. Being skeptical is a healthy process. This process should be followed in the “Climate Change” debate. Especially in the face of today’s political reality and the funding that special interest groups need to survive. Regarding the proclamations of “Man-Induced Global Warming/Climate Change Proponents” that Man is and will be single-handedly responsible for the global flooding of most of the world’s coastal cities, is arrogant, absurd and unprovable. Moreover, to ask world governments to take billions and billions of dollars out of their economies to fund nutty programs like “Cap and Trade” in order to ostensibly “contradict” something that has been happening on its own for millions of years, is pretty much over the top. For the last 2 million years, Earth cycles in and out of ice ages. It happens whether the planet supports 20 million people or 20 million dinosaurs. Glaciers grow and recede. Polar ice increases and decreases. The planet shifts its axis a few degrees and it gets cold. It shifts back, it gets hotter. Ocean currents change based on God’s unpredictable timetable causing local droughts and floods. A few volcanoes erupt and we get instant cloud cover drifting over the planet changing climatology drastically. The Sun, its relative position to Earth and its sunspot cycles adds a little flavor. How about putting the Earth’s wobble in the mix? Or, for that matter, without the Moon we would have no seasons? Greenhouse gases are mostly water vapor. After that, CO2 and methane. All together, very small components of the Earth’s atmosphere. That should tell us something. 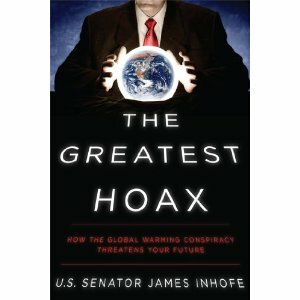 If you go to NASA scientist, Dr. Spencer’s website – http://www.drroyspencer.com -, you may find some interesting data from his studies that suggest that man-made caused CO2 entering the atmosphere is not all that important. At the very least, this is a controversial subject that should be treated that way and not as fact. And please, don’t tax me more to pay for unsubstantiated programs to make it snow more in the Arctic. What if it snows too much or get’s too cold and Hudson and the Thames freeze again. Rather be warm than cold. For what it is worth, I personally believe that the “Anthropogenic Global Warming Crisis” is an attempt by “Political Man” to assign full blame to the “Global Industrial Sector” for increased CO2 emissions which, in turn, will rapidly create an atmospheric, hydrospheric and lithospheric catastrophe beyond anything Man has every seen (Love that one!). Once that blame can become an incontrovertible truth and that Man is proven Responsible, then the Industrial Enterprises of the Advanced Nations (they have all the money, or they used to) will pay billions to Create Government Managed Programs to Decrease CO2 Emissions and Prevent this World-Ending Catastrophe from ever taking place. Wow. Instead, what we should really be focused on is something a little more banal like Jobs, freeing up Global Enterprises from regulations and taxes, adjusting our Social Entitlement Programs to fit revenues and paying back Debt. That’s the Red Meat of this era, in my humble opinion. Paul, I gotta say, this is fun! See more below…..
Dan then included more background articles that will be the subject of Sceptical Voices, Part Two. Hope you can stay with it.